At the end of last summer, Philippe Sinault, managing director of Signatech, told DSC that he had recommended three different projects to Renault Nissan’s board of directors for the 2016 season. The trio included an LMP1, an LMP2 and a GT program. Last Friday in Paris, the ACO revealed Alpine’s continued commitment to the LMP2 category, with two Alpine A460s confirmed for the WEC and the 24 Hours of Le Mans. 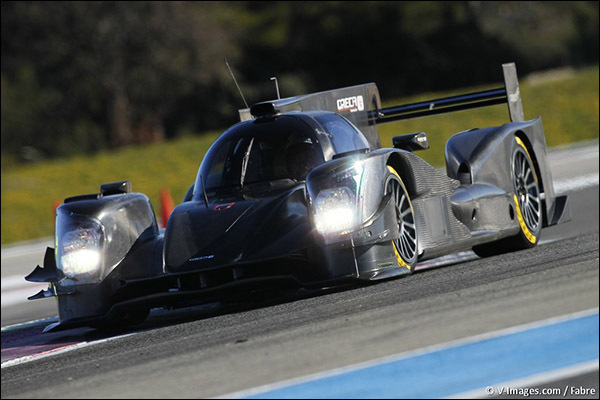 Both cars have been rebranded as Oreca 05s, following the same approach as when the Oreca 03R was rebranded as an Alpine A450B in 2013 and 2015. One of the cars has been entered by Alpine’s long-term partner, Sinault’s Team Signatech, while the other will be driven by David Cheng’s newly created BC Racing Alpine team. 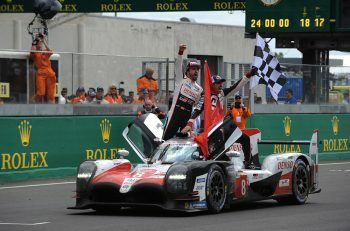 Cheng’s team was chosen for two main reasons: the need to raise brand awareness in Asia (a critical market for Alpine, which is on the eve of launching a brand new GT car) and the necessity of securing two cars for the WEC and the 24 Hours of Le Mans by benefiting from Cheng’s ACO invitation. “This will create undisputable strategic advantages and opportunities during races,” admits Sinault. Four Alpine drivers were also revealed during last week’s ACO press conference in Paris. In the #35, Cheng will share the wheel with Ho-Pin Tung, while in the Alpine #36, French driver Nicolas Lapierre will join F3 driver Gustavo Menezes. 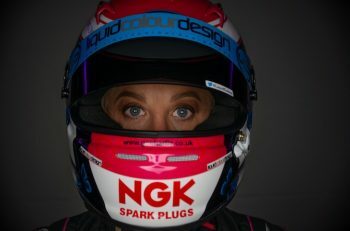 Lapierre is no stranger to team Signatech, having driven its single seaters back in the early 2000s. “We are really enthusiastic about the idea of having Nicolas back on our team,” says Sinault. “He is part of the Signature family. We won the 2003 Macao Grand Prix together. His vast experience in LMP1 will help us improve in several areas.” As for Menezes, the American F3 driver tested the Alpine A450B in Bahrain last fall. Menezes was chosen not only for his driving skills, but also for business reasons, as Alpine wants to reach the American market. Although two drivers are still to be announced in the coming weeks, it was a surprise not to see Nelson Panciatici and Paul-Loup Chatin listed, as both led the Alpine 450B to its first victory in the WEC last year. 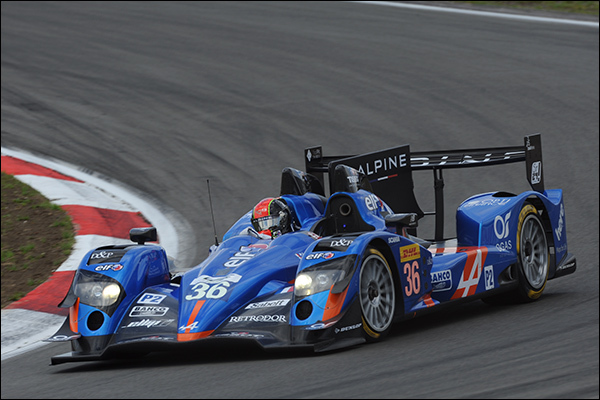 DSC has been told, however, that both have a real chance of ending up behind the wheel of the Alpine A460 in 2016. 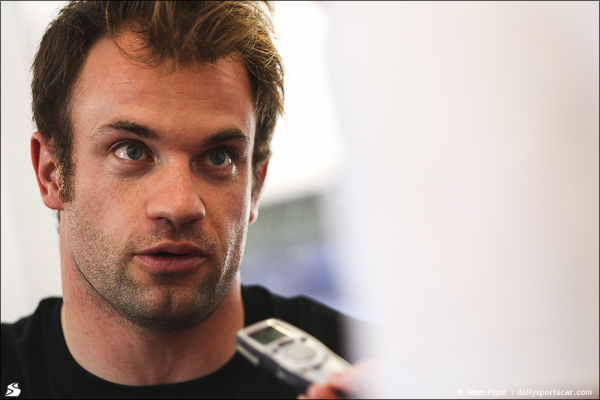 Alpine has a tight schedule before the WEC season begins. Over the next few weeks, the fifth and sixth drivers will be revealed along with the livery of the A460. Before then, an important presentation hosted by Carlos Gohn, CEO of Nissan-Renault, and Bernard Ollivier, Chairman of Alpine, will take place in Monaco on February 16. On this occasion, Alpine should reveal a show car that looks very similar to the GT due for production in 2017.